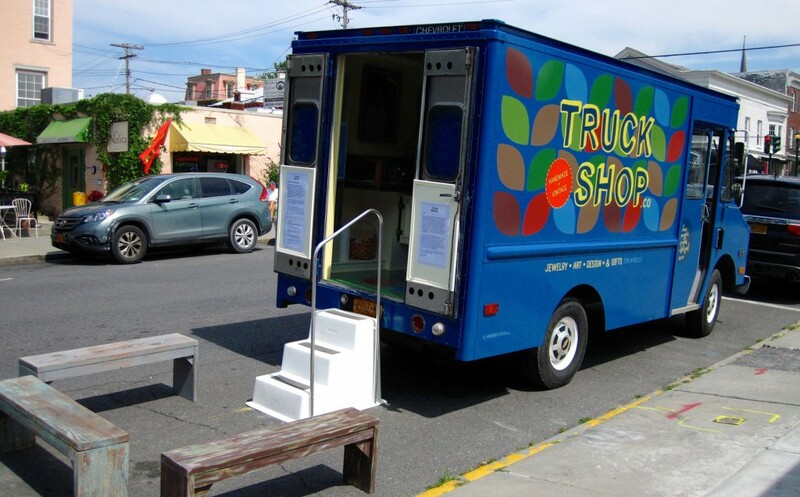 Started in 2014, Truck Shop is as a pop-up shop on wheels located on Warren Street in Hudson, NY. 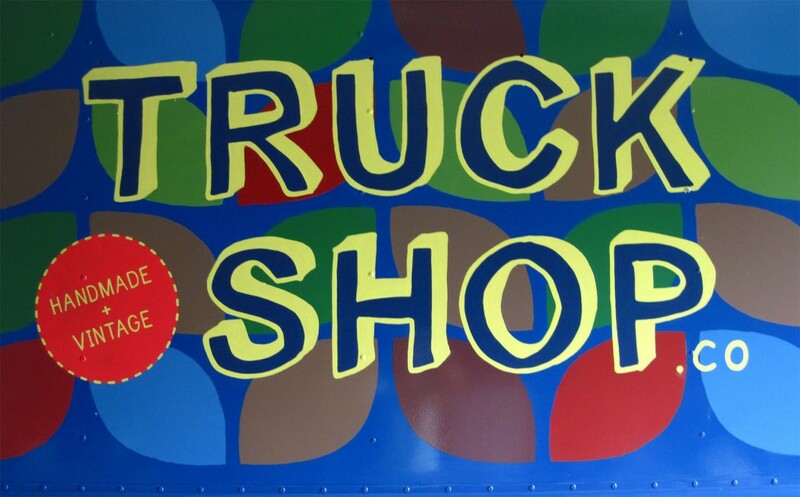 Truck Shop sells handmade and vintage items, including Ruth Beattie Jewelry and SpeakTees T-shirts and onesies. 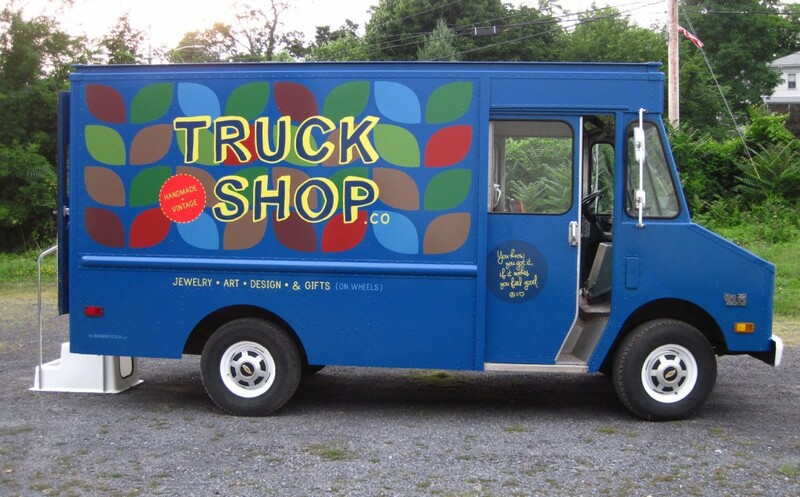 We designed the exterior look of the truck first with the leaves and the Truck Shop typography; this lead to business card and two logo designs: TRUCK SHOP type alone, and TRUCK SHOP inside the truck drawing. 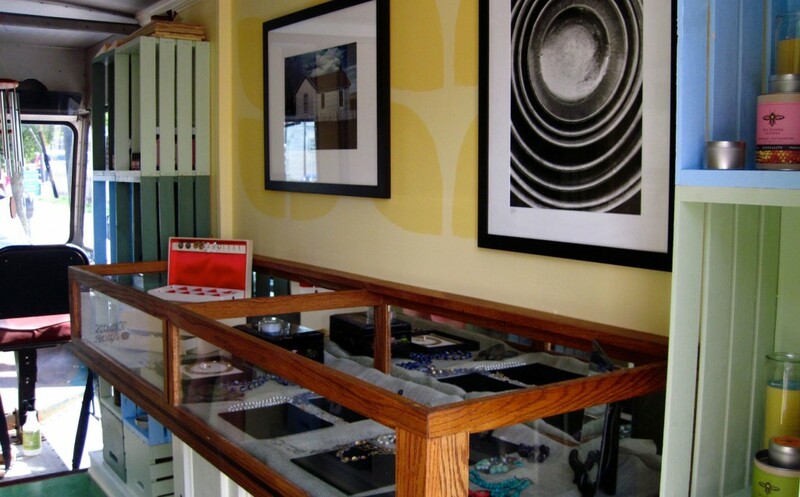 Promotional and marketing items include: coffee mugs, t-shirts, canvas bags and stickers. 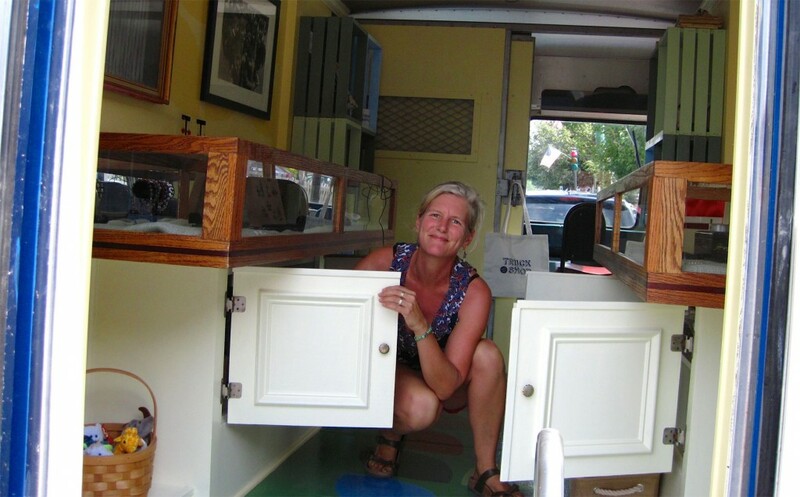 The truck itself is an 1987 Chevy Step Van. 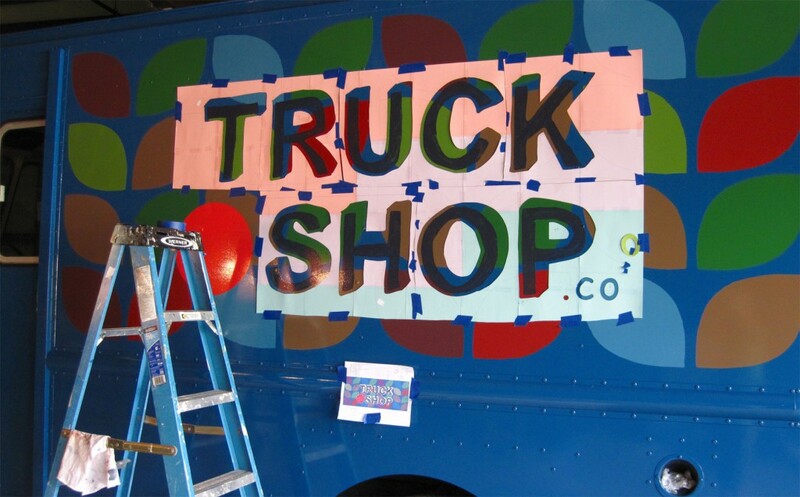 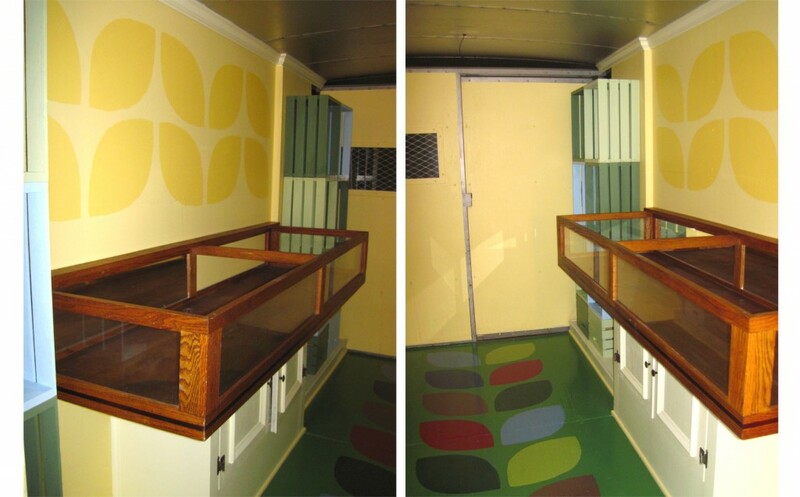 We painted the truck an nice bright blue and created stencils for the leaf pattern and the Truck Shop logo. 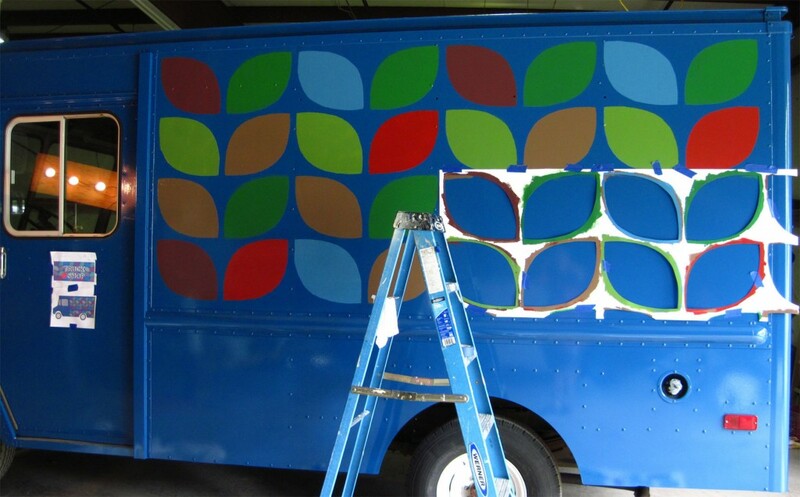 This was a first for us to tackle something so big—painting a vehicle, but it came out great, and people really love it.